Steve gave it hell on the snow bike this afternoon! We went to some huge sand hills ideal for getting rad on the bike. 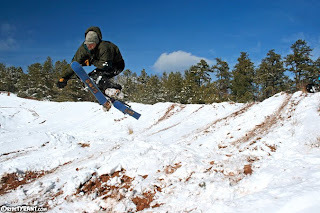 Soft snow with soft sand underneath, ideal "hucking" conditions. Good times for sure!